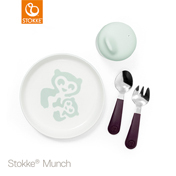 Stokke™ Munch dinnerware and cutlery are made in a smaller size, just for children making them easy for little hands to hold. 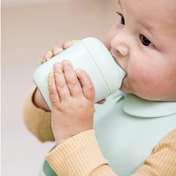 Encouraging self-feeding, making it excellent for use from baby to toddler. 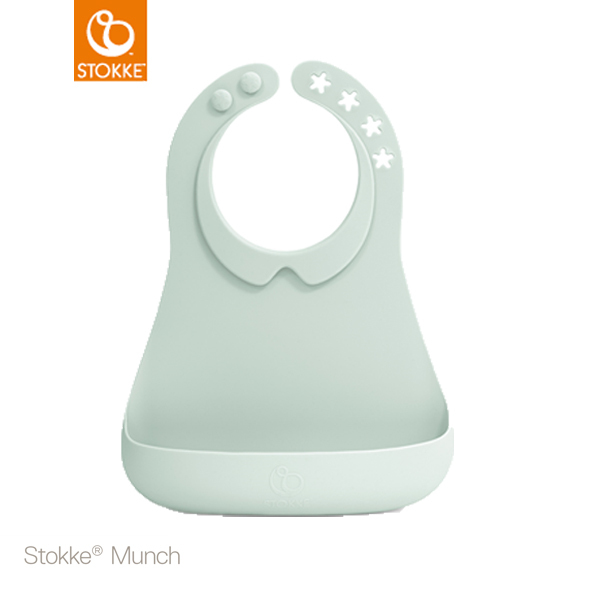 Stokke™ Munch Complete comes with a waterproof bib, easy-grip utensils, a space-saving plate, and even a cup and bowl with anti-drip lids. Made of high quality food grade silicone, they are strong and durable so they won’t break. Our dinnerware and cutlery are made in a smaller size, just for children. They are ergonomic, making them easy for little hands to hold. 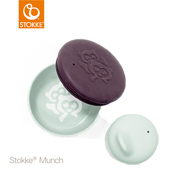 Best of all, each piece has been designed to encourage self-feeding, making it excellent for use from baby to toddler. For use from 6 months. 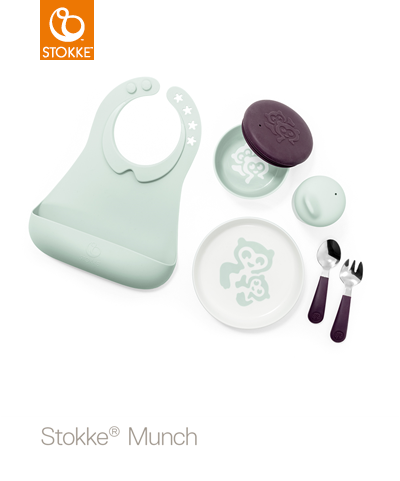 Great for mealtimes, Stokke® Munch Everyday comes with easy-grip utensils, a space-saving plate, and even a cup and bowl with anti-drip lids. Made of high quality, food grade silicone, they are strong and durable. 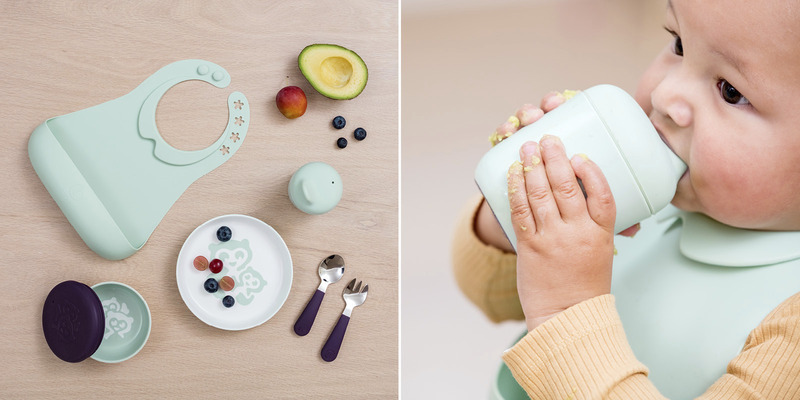 Our dinnerware and cutlery are made in a smaller size, just for children. They are ergonomic, making them easy for little hands to hold. 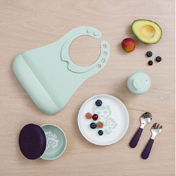 Best of all, each piece has been designed to encourage self-feeding, making it great for use from baby to toddler. For use from 6 months. 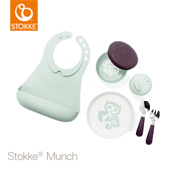 Stokke® Munch Essentials comes with easy-grip utensils, anti-drip sippy cup, ergonomic spoon & fork and plate with non-slip base. Made of high quality, food grade silicone, they are strong and durable. Our dinnerware and cutlery are made in a smaller size, just for children. They are ergonomic, making them easy for little hands to hold. 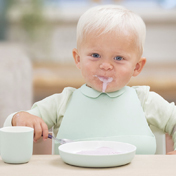 Best of all, each piece has been designed to encourage self-feeding, making it great for use from baby to toddler. For use from 6 months. Microwave and dishwasher safe for hassle-free heating and cleaning.